— Björk, Icelandic singer – songwriter. They move us, inspire us and expose us to exciting new ideas. They let us explore the world from the comfort of our armchairs and take us on a journey inwards to uncover our deepest feelings. Our brains are literally wired for stories. Through them, we learn from other people’s experiences, remember new information better and play out potential future scenarios in our mind without doing any lasting damage. But most importantly, great stories remind us that despite our unique differences, we all face similar struggles and emotions. When you’re sick, when you’ve lost someone you loved, when your life has fallen apart and you’re feeling lonely, lost and misunderstood, reading the right book at the right time can change your course. 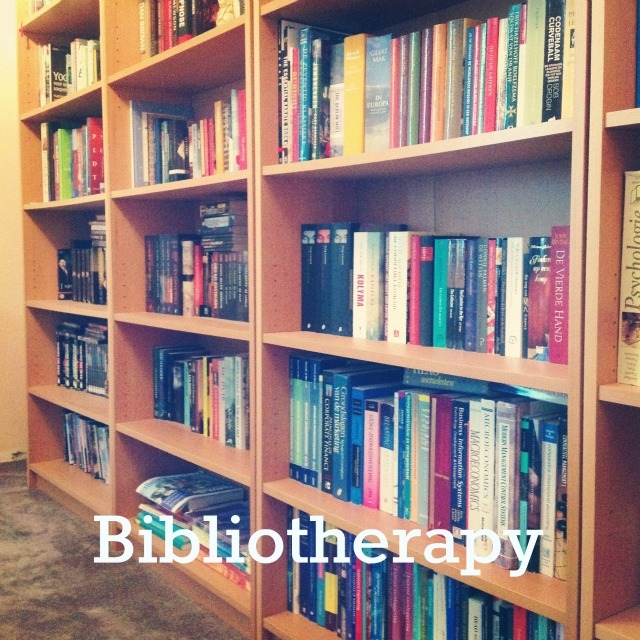 That’s where bibliotherapy comes in. Ever since the ancient Greeks, people have been self-medicating with books, as a band-aid for a broken heart or an antidote to many ailments. And for good reasons. Studies show that reading puts our brains into a meditation-like state, making it one of the most effective ways to overcome stress. Besides the obvious cognitive benefits – improved memory, vocabulary and creativity – reading is also a rewarding emotional experience. By identifying with a story’s character, we can see our own situation from a different point of view, gain helpful insights or discover new ways to deal with our problems. Of course you can pick up any novel when you’re in need of a healing dose of literature. But if you really want to read fiction for therapeutic effects, it helps to choose a story that’s directly related to your own troubles or one that will most likely put your in the mood you’d like to be in. 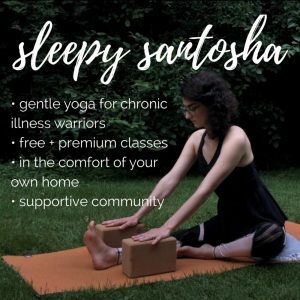 To help you get started, I’ve listed over 23 classical reads that will lift your spirits, inspire you and help you find meaning in tough times. With his 40th birthday approaching, Don Tillman, a genius but socially challenged genetics professor, decides it’s time to get married. He just doesn’t know who to yet. To help him find the perfect wife, Don designs a 16-page, scientifically-valid questionnaire to weed out anyone who doesn’t meet his high standards. 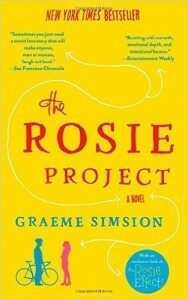 And then the smoking, swearing, spontaneous Rosie Jarman enters his life on her own quest to find her biological father… The Rosie Project demonstrates in the most funny and heart-warming way that sometimes you don’t find find love, but love finds you. When Douglas Petersen’s teenage son is leaving home to study, his wife Connie drops a bombshell: she will be leaving too. But they had one last family holiday touring Europe’s capital cities planned and Douglas resolves its the perfect opportunity to rekindle the romance and reconnect with his son. 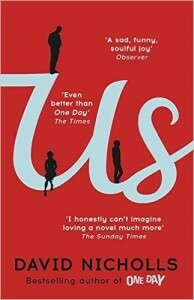 Traveling with more emotional baggage than luggage, Us gives us a cleverly charming, humorous and authentic insight into the dynamics of marriage and family life. One day, the recently retired Harold Fry receives a farewell letter from a dying woman he hadn’t spoken to in twenty years. When Harold leaves his modest cottage to mail his reply, he finds himself passing mailbox after mailbox. Unexpectedly, he keeps walking and walking to deliver his message in person, 600 miles across England in just his deck-shoes and light coat. 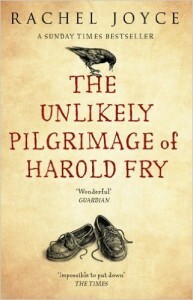 The Unlikely Pilgrimage of Harold Fry is a touching story about chance encounters, contemplation and the extraordinary journey of an ordinary man. The Little Prince is a beautifully illustrated fairy tale about love and loneliness, cherished by both children and adults. 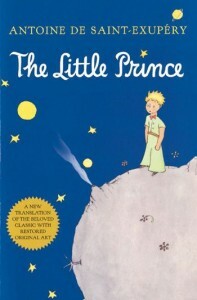 A pilot crashed in the Sahara desert meets a peculiar little prince who left his tiny asteroid to explore the universe. While the aviator frantically tries to repair his plane, the prince recounts his journey from planet to planet, each populated by one single adult. Providing food for thought for readers of all ages, The Little Prince is a whimsical fable that will inspire you to stay open-minded and keep your imagination alive. For more uplifting reads, check out the wickedly funny High Fidelity by Nick Hornby, chick lit classics like Sophie Kinsella’s Shopaholic series and Emily Giffin’s Something Borrowed, hilarious essays from David Sedaris, or these laugh-out-loud books from Hollywood’s funniest ladies. Some adventures will not only take you around the world but also on a journey inwards. When her (love) life falls apart, Liz Gilbert leaves the conventions of modern life behind to embark on a yearlong trip of soul-searching. 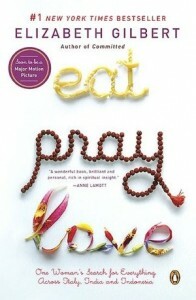 She embraces la dolce vita in Italy, attempts to still her wandering mind in an ashram in India and finally seeks the balance between both pleasure and devotion on Bali. In her heartfelt, candid and witty memoir, Elizabeth Gilbert takes readers on a journey of self-discovery to exotic destinations. 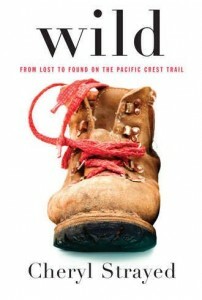 Devastated by the death of her mum and the end of her marriage, Cheryl Strayed makes the impulsive decision to hike the Pacific Crest Trail. Unprepared for the adventure and carrying a heavy load – literally and metaphorically – she faces the wilderness and its rattlesnakes, bears and record snow fall in search of radical aloneness. 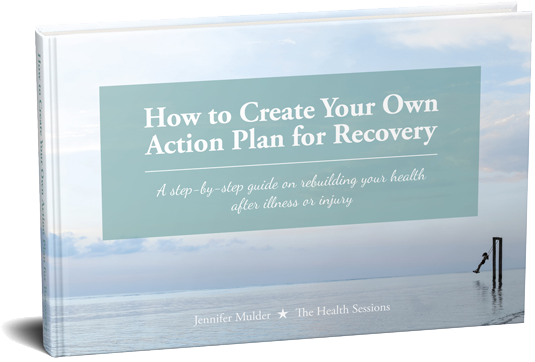 In Wild, Cheryl shares the layered story of her adventures and how a total immersion in nature helped her heal her emotional wounds. Other life-changing travelogues include The Road Less Travelled by M. Scott Peck and Zen and the Art of Motor Cycle Maintenance by Robert M. Pirsig. When you feel lost and overwhelmed by your problems, there’s nothing like absorbing the wisdom from timeless tales to help you make sense of your situation. 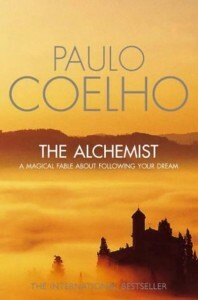 The Alchemist is a powerful parable about a young Andalusian shepherd named Santiago, who dreams of exploring the world in searching of a hidden treasure. Combining mysticism and meaning, this magical story featuring omens, gypsies and kings will encourage you to listen to your heart and pursue your own Personal Legend. Imprisoned in the Nazi concentration camps, after losing all his worldly possessions and ultimately his family, prominent psychiatrist Viktor Frankl discovered that Nietzsche was right: he who has a ‘why’ to live can bear almost any ‘how’. 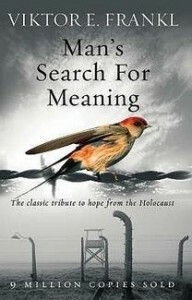 More than a haunting account of the Holocaust, Man’s Search for Meaning is a tribute to hope, written to help us all find a deeper meaning and purpose in life during the darkest of times. 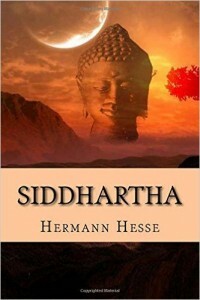 Siddhartha is the timeless tale of a man’s lifelong journey towards Enlightenment. 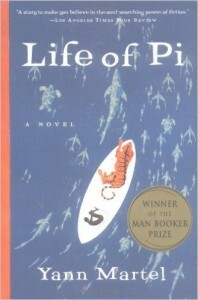 Set in India, a young Brahmin man leaves his family and life of decadence behind in search of the ultimate wisdom. Siddhartha’s spiritual journey takes him from ascetically meditating in the mountains, through wealth and a worldly love for a beautiful courtesan, to suffering, rejection and ultimately, inner peace. This poetic novel compels readers to follow their own path to fulfillment, learning by trial and error. 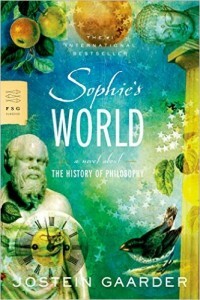 Sophie’s World is a chronological introduction to Western philosophy wrapped in a fictional story. Sophie, a 14 year old girl from Norway, starts receiving mysterious postcards addressed to another girl, asking “Who are you?” and “Where does the world come from?”. Intrigued by these fundamental life questions, Sophie begins corresponding with the sender, covering philosophical concepts from the Ancient Greeks to Jean-Paul Sartre, while simultaneously trying to figure out who this Hilde, the intended recipient, is. 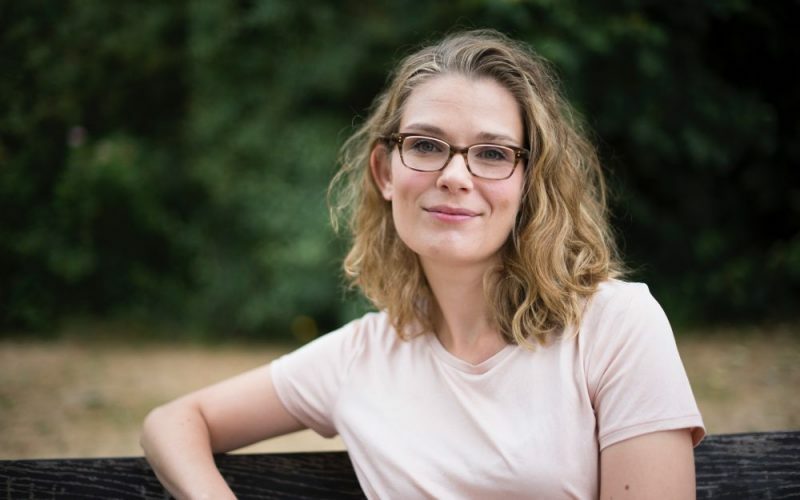 Although Sophie’s World is a long and dense novel that’s difficult to read at times, exploring timeless questions about the world through different schools of thought can help you see your own struggles from a new perspective and in a bigger picture. You can find more profound insights in the moving memoirs The Last Lecture by Randy Pausch and Mitch Albom’s Tuesdays with Morrie. 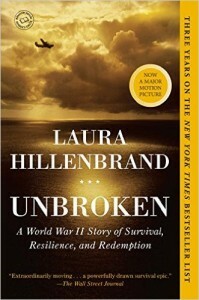 Unbroken tells the gripping story of Louis Zamperini, an Olympic athlete who joined the Army Air Corps during World War II. When his bomber airplane crashes into the Pacific Ocean, Louis faces miles and miles of open sea on a disintegrating raft, with circling sharks, thirst and starvation. And an even greater trial awaits him ashore… Unbroken is the captivating and heart-wrenching testament to a man who somehow kept getting up when life knocked him down, hard. Another survival epic that showcases the resilience of the human spirit is The Long Walk by Slavomir Rawicz. 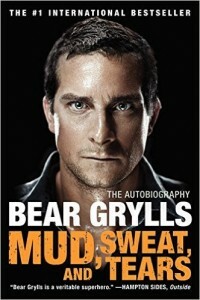 Mud, Sweat and Tears gives us a peek into the action-packed life of Bear Grylls, the daredevil of the hit survival series Man vs. Wild. Born with a passion for adventure, Bear has been undertaking climbing expeditions and mastering martial arts from a young age. When he signs up for the British Special Air Services (SAS), the brutal selection course pushes his body and mind to the limits. But nothing puts his faith and perseverance more to the test than breaking his back in three places in a parachute accident. It’s unsure if he’ll ever be able to walk again, but Bear still dreams of climbing Mount Everest… An inspiring autobiographical story about the power of determination, resilience and stepping outside of your comfort zone. More military-style motivation? Read The One That Got Away from Chris Ryan – a true story of escape and evasion behind enemy lines during the Gulf War. And last but not least, check out The Novel Cure: 751 Books to Cure What Ails You for tailor-made reading prescriptions to help you heal any physical or emotional problems. Which book has helped you through tough times? Which work of fiction or true story inspired you, lifted your spirit or made you smile through your tears?